No excuse is needed to celebrate the civil rights icon Rev. Fred Shuttlesworth. But this weekend is an especially appropriate time to recognize his contributions to First Amendment jurisprudence, and the inextricable link between modern free speech law and the civil rights movement of the 1950s and 1960s. This link remains pertinent: the Internet is as important a venue for protest and dissent as streets and newspapers were then, especially in light of recent attacks on this legal legacy. Why this weekend? It marks the anniversaries of the Supreme Court handing down three victories for Shuttlesworth, all three of which shed light on the civil rights-free speech link, and two of which are landmark First Amendment cases of the 20th Century. March 9, 2019 marks the 55th birthday of the U.S. Supreme Court’s decision in Abernathy v. Sullivan, 376 U.S. 254 (1964), in which Shuttlesworth was one of the defendants, and of the summarily decided Shuttlesworth v. Birmingham, 376 U.S. 339 (1964). March 10, 2019 marks the 50th birthday of a different Shuttlesworth v. Birmingham, 394 U.S. 147 (1969).1 All of these historically and doctrinally important cases are discussed below. Abernathy v. Sullivan was decided in the same opinion as New York Times v. Sullivan.2 The Court’s joint opinion escalated the standards required of defamation lawsuits brought by public figures, protecting the rights of both the public and the press to criticize the operations of government. The decision was an historic free speech victory when it was decided in 1964, and continues to protect the Internet as a forum for free speech today. This history reminds us that the development of modern First Amendment law was driven in large part by civil rights concerns. Because “New York Times v. Sullivan” is the name on the Court’s opinion and frequently talked about as a free press case, that they were also civil rights cases often gets overlooked. But the cases' civil rights history is crucially important for the contemporary debate about speech online. This history reminds us that the development of modern First Amendment law was driven in large part by civil rights concerns. And it reminds us that the First Amendment still serves civil rights concerns today by continuing to demand exacting scrutiny of race-neutral laws subject to race conscious applications. This history also attains greater relevance in light of Justice Thomas’s recent troubling call for the U.S. Supreme Court to re-examine the landmark Sullivan ruling. Justice Thomas’s statement, while the voice of only one Supreme Court justice, is especially concerning in light of President Trump’s aspiration to “open up the libel laws,” which seems to be aimed at overruling Sullivan. In Sullivan, the Supreme Court firmly rejected the efforts of Southern officials opposed to civil rights to strangle the civil rights movement through crushing defamation liability judgments in state courts in Alabama and elsewhere. Were it not for the Sullivan decision, they may well have succeeded. It’s a lesson we should not forget as we consider today’s debates about free speech online. The opinion addresses issues like what we might now call “fake news” and attacking intermediaries to silence the speakers who rely on them. The strategy of bringing defamation and similar claims to try to drown political opposition certainly continues today, for example, with recent efforts to sue Greenpeace and other protestors. The civil rights background of the case was not incidental; rather, it played a critical role in the soaring First Amendment victory. The Court framed the case as an instance of government officials using the instruments of state tort law to punish those seeking to change governmental practices through protest and dissent. The Court acknowledged that officials had in effect reinstated the long-discredited law of seditious libel (the crime of criticizing the government). The Supreme Court rightfully recognized that while previous efforts to perpetuate institutionalized racial discrimination employed race-based laws, the use of race-neutral legal concepts4 like defamation law posed a uniquely dangerous threat. Moreover, it was critical to the Court’s analysis that the New York Times was acting as an intermediary for the speech of civil rights activists. The Times was viewed by Southern segregationists as a vital avenue for communicating the messages of the civil rights movement, both through its intermediary function of running advertisements and letters to the editor, as well as through its own reporting. Both NYT v Sullivan and Abernathy et al. v. Sullivan, were based on the same speech: the March 29, 1960 publication in the New York Times of an advertisement raising money for The Committee to Defend Martin Luther King and The Struggle for Freedom in The South. In Montgomery, Alabama, after students sang “My Country, ‘Tis of Thee” on the State Capitol steps, their leaders were expelled from school, and truck-loads of police armed with shotguns and tear-gas ringed the Alabama State College Campus. When the entire student body protested to state authorities by refusing to re-register, their dining hall was pad-locked in an attempt to starve them into submission. The ad listed as signatories 80 prominent persons from entertainment, politics, and the civil rights movement, and included the additional note that “We in the south who are struggling daily for dignity and freedom warmly endorse this appeal,” followed by the names and locations of 20 Southerners, mostly clergy members active in the civil rights movement. Among these endorsers were four prominent Alabama-based clergymen active in Dr. King’s Southern Christian Leadership Conference: Ralph Abernathy, Fred Shuttlesworth, S.S. Seay, Sr., and Joseph Lowery. Sullivan is revered today because it transformed the common law of defamation and firmly pushed back against of the use of libel actions to punish political criticism. Prior to the Court’s decision, defamation law in Alabama (like that of most states) allowed a plaintiff to win a defamation lawsuit with a relatively minimal showing. In particular, to state a defamation claim based on statements that naturally tended to injure a person’s reputation, profession, trade, or business, or bring them into public contempt, a plaintiff needed merely prove that the defendant published the statements to at least one other person, and that the statements were about the plaintiff. A successful plaintiff did not need to prove that anyone believed the statements to be true, or that their reputation was damaged in any way, or that they suffered any particular injury, financial or otherwise. The plaintiff did not need to prove that the defendant was at fault – they faced no requirement to prove either that the defendant made a mistake or acted unreasonably, or that the defendant acted with any intent to harm or spread falsehoods. The plaintiff did not have to prove falsity, though a defendant could successfully defend a case by proving that the statement was true. The Court’s use of the First Amendment as an implement for civil rights in Sullivan is even more pronounced considering that later in its 1964 term, the Supreme Court issued another significant ruling against Alabama officials. In NAACP v. Alabama, 377 U.S. 288 (1964), the final ruling in the NAACP’s long legal battle to operate in Alabama, the Court rejected the last of the state’s procedural arguments. Alabama had asserted that the NAACP had not properly registered to operate in the state and the state judge hearing its challenge ordered the NAACP to disclose its membership. In the fourth iteration of the case to make it to the Supreme Court, the Court catalogued the history of the Alabama judiciary’s efforts to evade the Court’s rulings regarding the NAACP. Court then finally ended the case; defeating another seemingly race-neutral tactic—compelled disclosure of membership lists—that was a common tool of those trying to suppress civil rights activism.28 With the Court’s decision, the NAACP was able to resume operations in Alabama. EFF used this same precedent to challenge the NSA’s mass collection of telephone records as violating the right of several political groups to freely associate without governmental knowledge of their membership lists in First Unitarian Church v. NSA. On the very same day the Supreme Court decided Sullivan, it also decided a different case in favor of Shuttlesworth, upholding his First Amendment rights to speak out against segregation. In Shuttlesworth v. Birmingham (1964), the Court, unanimously and without an opinion, reversed Shuttleworth’s conviction for interfering with the chief of police during the Birmingham attacks on the Freedom Riders. The Freedom Riders were civil rights activists who, starting in 1961, rode interstate buses through the south to challenge illegal segregation. A group had been stranded in Birmingham after an attack by KKK members, purportedly aided by the local police, prompted the bus drivers there to refuse to drive them to their next stop. A crowd of approximately 300 supporters who showed up at the bus station to offer support to the Freedom Riders were met by the police. During this confrontation, Shuttleworth was arrested for interfering with the chief of police’s effort to take the Freedom Riders into supposed “protective custody.” Shuttlesworth apparently interfered with this dubious effort by “block[ing] the chief’s path using words with an intent to do so ‘in rudeness and anger.’” Shuttlesworth was convicted, and his conviction was upheld by the Alabama Court of Appeals, which found that even if the chief was not conducting a valid operation, Shuttlesworth could still be convicted of the alternate crime of assault, again based solely on his spoken words. Shuttlesworth v. Birmingham, 41 Ala. App. 1, 2 (1962). The U.S. Supreme Court summarily reversed, seeming to hold that Shuttleworth’s conviction could not be based on a charge he did not have the opportunity to defend. The Supreme Court’s 1969 decision in a different case also titled Shuttlesworth v. Birmingham remains one of the Court’s most important prior restraint cases. We’re relying on it now, in our ongoing challenges to National Security Letter (NSL) gag orders. In April 1963, Shuttleworth was one of three ministers who led a procession of 52 people from a church and through Birmingham. The march used the sidewalks and obeyed all traffic signals. The Birmingham police stopped the marchers after four blocks and arrested them for violating the local law that required a permit for any public protest. The law gave the city the power to deny a permit if “in its judgment the public welfare, peace, safety, health, decency, good order, morals or convenience require that it be refused.” Shuttlesworth was convicted and sentenced to 90 days in imprisonment at hard labor, and almost $100 in fines and costs. After his conviction was affirmed by the Alabama Supreme Court, he appealed to the U.S. Supreme Court. In reversing the conviction, the Supreme Court set forth the requirements that still apply to day for permit schemes. These schemes cannot vest officials with permitting authority “without narrow, objective, and definite standards to guide” them. Permit schemes that vest officials with wholly subjective, unguided discretion, as the Birmingham law did, are unconstitutional, and may be ignored without penalty. The Court also used the case to affirm that protests, pickets, parades, marches, and demonstrations are indeed “speech” protected by the First Amendment. This history about the context in which these cases were decided helps clarify the profound importance of the decision—not only as a matter of constitutional jurisprudence, but also as a crucial moment in U.S. legal and political history. Far from being a seminal moment only for press freedom, the decision ushered in a new era of respect for First Amendment principles across multiple contexts, and reveals how rights ultimately intersect. As we consider the free speech fights of today, it’s important to recall that the same intersection requires protection now as much as ever. We need a strong First Amendment today, protecting today’s marginalized voices in their use of online tools to achieve equity and freedom online, as much as we did fifty-five years ago. 1. None of these was Shuttlesworth’s only Supreme Court victory. In the 1963 term, the Court decided Shuttlesworth v. Birmingham, 373 U.S. 262 (1963), which reversed Shuttlesworth’s conviction for aiding and abetting trespassing based on his acts of recruiting volunteers to take part in a sit-down demonstration at segregated lunch counters. The Supreme Court vacated Shuttlesworth’s conviction, and many others, finding no trespass because the the protestors were unconstitutionally excluded from the lunch counters. That case first reached the Supreme Court in 1962, when the Court first allowed Shuttleworth to appeal his state conviction in federal court. In re Shuttlesworth, 369 U.S. 35 (1962). In the 1965 term, the Court reversed a conviction for loitering after Shuttlesworth led a group of picketers outside a segregated department store. Shuttlesworth v. Birmingham, 382 U.S. 87 (1965). Shuttlesworth was also one of the petitioners in Walker v. Birmingham, 388 U.S. 307 (1967), which affirmed the issuance of an injunction against a planned walking protest, the same protest that gave rise to Shuttlesworth conviction later overturned in the 1969 case. Also, in 1958, Shuttlesworth was the legal representative of his daughter in her lawsuit challenging Alabama’s school segregation law. The Supreme Court summarily affirmed the dismissal of that case in Shuttlesworth v. Board of Education, 358 U.S. 101 (1958). 2. Although the Supreme Court decided the cases in one opinion, the cases were briefed and argued separately. 3. Shuttlesworth v Birmingham (1964) and NAACP v. Alabama (1964) are discussed below. 4. As Professor Christopher Schmidt has written, “By the late 1950s and early 1960s, however, the tactic of defending legalized segregation on its own terms had largely run its course. Legally mandating racial segregation and other forms of overt racial discrimination was rapidly becoming a lost cause .… Unlike the legal battles segregationists waged in the 1940s and 1950s, this new legal attack on the Civil Rights Movement relied on laws that said nothing about race. These were laws regulating disorderly conduct, trespass, disturbing the peace, and defamation. Even tax law became a weapon against the Civil Rights Movement. As the Movement gained momentum, segregationists used these and other race-neutral laws to target civil rights activists and their allies. The race-conscious use of race-neutral law became Jim Crow’s front line of defense.” Christopher W. Schmidt, New York Times v. Sullivan and the Legal Attack on the Civil Rights Movement,” 66 Ala. L. Rev. vol. 2, 295, 293 (2014). Aside from defamation law, civil rights organizations like the NAACP were subject to laws regulating the legal profession, students were subject to disciplinary actions for protesting, organizations and leaders were prosecuted for tax evasion, and disorderly conduct and trespass laws were disproportionately enforced against civil rights protestors. Schmidt at 299-306. 5. The ministers made this argument in several of the cases arising from the ad. For example, their Complaint in Abernathy v. Patterson, a case challenging the seizure of their assets pending the appeal of the state trial court’s Sullivan verdict, alleged that “The defendants herein at some time thereafter conspired and planned under the color of law and utilizing their official positions, as well as the judicial machinery of the State, to deter and prohibit the plaintiffs and their supporters as set forth above, from utilizing their constitutional rights and in particular their right to access to a free press, by instituting fraudulent actions in libel against the plaintiffs, without any basis in law or fact, in the Alabama State courts, arising out of the aforesaid advertisement.” Abernathy v. Sullivan, 295 F.2d 452, 454 (5th Cir. 1961). 6. 376 U.S. at 266. 9. William E. Lee, “Citizen-Critics, Citizen Journalists, and the Perils of Defining the Press,” 48 Ga. L. Rev. 757, 759 n.10 (2014). 11. See Parks v. New York Times, 308 F.2d 474, 476 (5th Cir. 1962). According to: “John Murray, who helped prepare the ad for the Committee to Defend Martin Luther King, testified that the ministers' names were not in the first version of the ad brought to the Times.,. 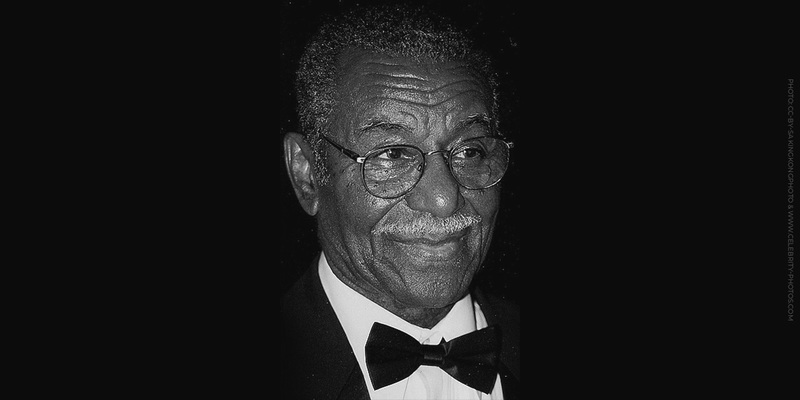 Bayard Rustin, executive director of the Committee to Defend Martin Luther King, was not satisfied with the draft of the ad and instructed Murray to include the names of ministers whose churches were affiliated with the SCLC. Rustin insisted it was not necessary to get permission for the use of names "because they were all part of the movement." Lee at 761 n. 17. See also Anthony Lewis, Make No Law, at 32 n.5 (1991); Kermit L. Hall 7 Melvin Urofsky, New York Times v. Sullivan, at 16-17 (Peter Charles Hoffer & N.E.H. Hull eds., 2011). The specific legal theory Sullivan, James, and the others pursued against the ministers was one of ratification or adoption, whereby the silence of the ministers in response to the retraction demand made them responsible for its contents even if they did not in advance approve or know of the inclusion of their names as endorsers. The 5th Circuit ultimately found that such silence, in addition to evidence that the ministers may have benefitted from the ad, since the SCLC ultimately received some of the funds raised, was sufficient to support a finding a ratification. Parks, 308 F.2d at 479. 13. Governor Patterson’s lawsuit also named Dr. King, who was also listed as an “endorser,” as a defendant. Dr. King, in a deposition in the case, similarly testified that he had not authorized the inclusion of his name as a signatory. Some believe that the four individual Alabama residents were sued as a legal maneuver to make sure that the cases were tried in Alabama state courts, rather than removed to federal court, as they likely would have been had a non-Alabama entity, the New York Times, been the only defendant. See Lewis at 13. But the four ministers themselves believed they were specifically targeted as part of a broader effort by Alabama officials to suppress the civil rights movement in that state. See Lee at 758 & n.1, 764. They filed a lawsuit to this effect in which they sought to enjoin enforcement of Sullivan and James judgments pending appeal. See Abernathy v. Patterson, 295 F.2d 452 (5th Cir. 1961) (affirming dismissal of the case). 14. See Parks, 308 F.2d at 476. The other cases did not go to trial before the Court ruled in New York Times v Sullivan, effectively ending all of the cases based on the ad. 15. Lee at 759. The ministers field a separate action to enjoin the state from confiscating and selling their property, but that action was dismissed. Abernathy v. Patterson, 295 F.2d 452 (5th Cir. 1961) (affirming dismissal of the case). 16. Lee at 759 & n. 10 (quoting Taylor Branch, Parting the Waters 580 (1988). 17. Lee at 761 n.16. 22. 376 U.S. at 279. 25. Sullivan was not named in the ad. Rather, he, and in their separate cases, the other officials, claimed that as the city commissioner who oversaw the police he could maintain a libel lawsuit based on any statement about police misconduct or wrongful arrests. The Supreme Court ruled that an individual official cannot sue based on general criticism of the government, that such general statements do not adequately pertain to the individual and damage their individual reputation. 376 at 288. Some commentators believe that this was purposeful in order to provide maximum protection to civil rights activism going forward – that the due process and equal protection claims could not have been decided without remanding the case back to the Alabama courts and effecting only piecemeal change when much larger change was needed. Lee at 764. 28. Louisiana used this same tactic against the NAACP and other organizations, including the Southern Conference Education Fund. Mississippi passed a law requiring all teachers to disclose the names of all organizations to which they belonged. Arkansas and Virginia had similar laws. See Schmidt at 299-300.